The Otis Instruments OI-6000 Series Ambient Air Hazardous Gas Detector is a versatile assembly that uses an electrochemical, infrared, catalytic bead, or PID sensor element to detect a variety of gases. Wired power (12 to 35 VDC) with 4-20 mA analog and RS-485 Modbus outputs standard. 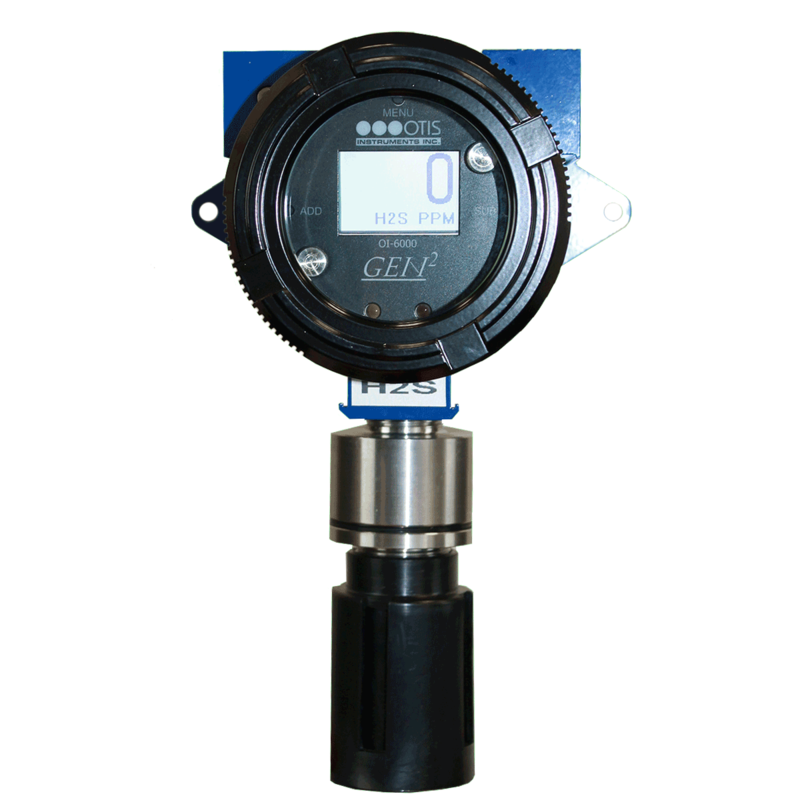 Magnetic switches allow for non-intrusive calibration while in the field as well as full system settings and diagnostics while remaining Class I Division 1 Groups C & D Certified.